Dueto London’s constant rainy climate, our roofs get damaged and deteriorate quickly. That’s a large issue. The roof not only protects us from the elements, but also it is the core of every building and what holds it together. If you neglect your roof for too long, you’ll see issues cropping up all over your building. That’s where our team comes for the rescue. 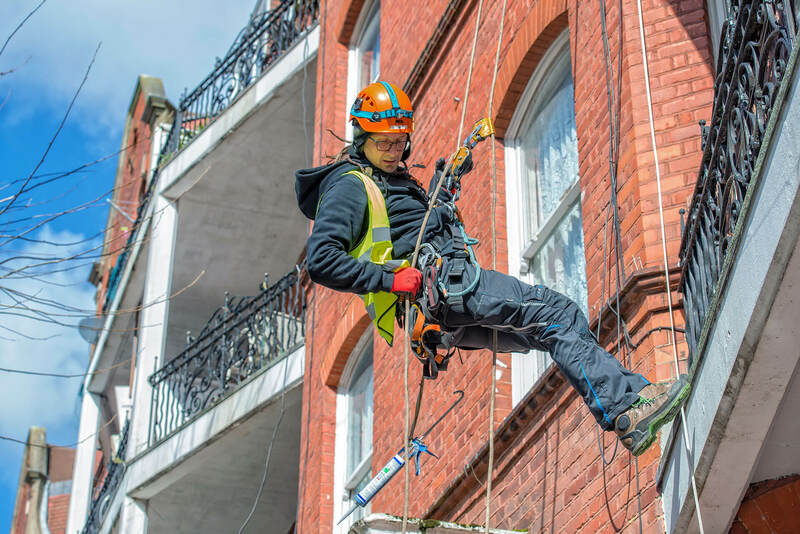 Whether you own a large apartment complex or a single house, we’ll deploy our team of 40 abseiling professionals to help you with anything concerning your buildings’ roofs. We’ve worked on large projects throughout London: from waterproofing high-rise buildings to doing complete replacements. No matter how tall your building is or where it is in London, if you want to feel safe and comfortable knowing a team of professionals will take care of the smallest problems in your building, then call us. We offer the service you need. We know that even simple roof repairs are traditionally quite expensive because you need to go through a lot of paperwork just to get a permit for scaffolding, and that’s where we are different. We’ll waterproof your roof extremely fast with only abseiling, which doesn’t need any sort of permit – doing business with us will be faster and cheaper.